After celebrating (and subverting) ’80s horror with “The House of the Devil” and classic bump-in-the-dark ghost stories with “The Innkeepers,” director Ti West has broken away decisively with his new film “The Sacrament.” (West brought the film to the Wisconsin Film Festival in April, and it’s out on DVD this week). The question is whether in shifting away from smart homage and into something more distinctive, West has lost more than he’s gained. What they find seems like a collectivist paradise — kids playing, people happy tilling the soil, smiles everywhere as folks talk about the unseen “Father” who runs Eden Parish with a seemingly gentle but firm hand. 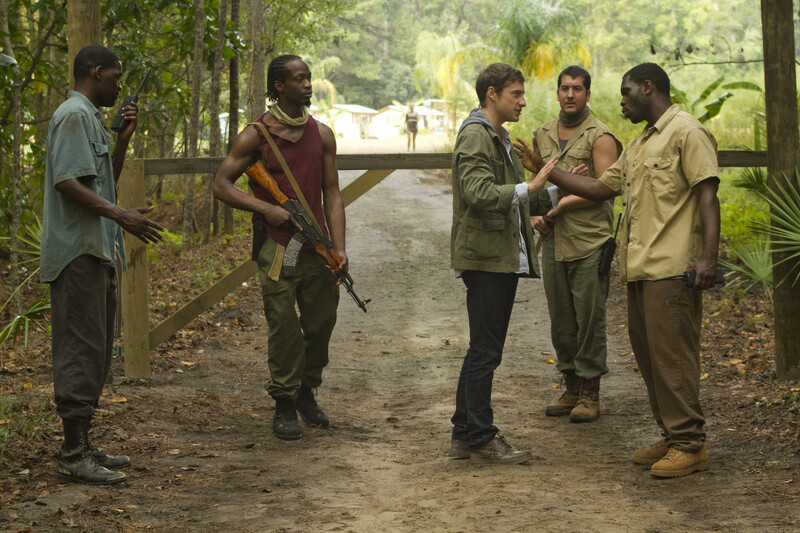 Why, then, the film crew wonders, are there armed guards surrounding the camp. To keep people out, or in? Normally, this would be a typical Ti West slow boil of suspense. Except that, in “The Sacrament,” anyone who is familiar with the Jonestown Massacre knows exactly what is going on and exactly where this is going. Things do finally build to a head in the film’s showstopping scene, in which Father reveals himself to be an avuncular, folksy old man (Gene Jones) who parries Patrick’s questions so easily in an interview before the entire congregation. It’s a great scene, both for Jones’ canny good ol’ boy performance and for the underlying dread as Patrick realizes he’s up against an impregnable, dangerous kind of faith, and is powerless to outwit it using reason. Oddly, though, given how thoroughly Father has beaten back his questioners, he apparently is so spooked that he puts his “Final Solution” plan into motion. It really comes out of nowhere, seemingly dictated by the real-life Jonestown rather than what’s actually happening on the screen. So while it’ s certainly sickening to watch, it’s hard to feel anything beyond that, and watching the three filmmakers try to get out alive with a little girl feels a little unseemly, overlaying a standard horror ending onto an unspeakable real-life tragedy. 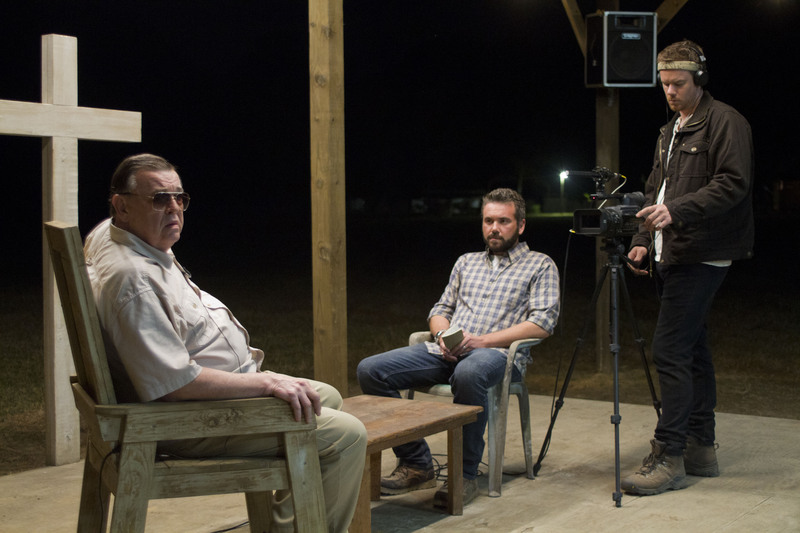 “The Sacrament” is distinctive for showing us its horrors not in shadows, but under sunny skies amid green fields. But this visual texture isn’t enough to make up for a lack of emotional texture — in the end, we’re always outsiders like the film crew, watching uncomprehendingly as the faithful willingly follow their prophet into destruction.